Could hypertension affect your brain health? Do you check your blood pressure often? Do you know what your blood pressure numbers are? If you are a young adult, it is very likely that these questions have not been at the forefront of your mind when it comes to your health. 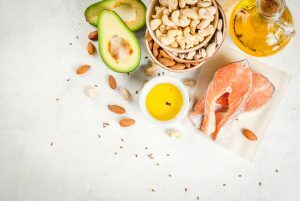 A recent study showed that in 2013-2014, only half of the 6.7 million young adults from 18 to 39 years old were treated for high blood pressure. Meanwhile, only 40-percent got their blood pressure under control. However, blood pressure control is not only important for heart health, but for brain health as well. Recent studies have linked normal blood pressure levels with improved cognition in older adults. What is blood pressure and what is considered a healthy level? The American Heart Association defines high blood pressure, or hypertension, as 140/90. The top number is the systolic pressure, or pressure at contraction. Furthermore, the bottom number is the diastolic pressure, or pressure in between beats. A normal blood pressure level is 120/80. You may think that hypertension is only related to heart health. However, a high blood pressure can increase risk of stroke, which affects the vessels in the brain. In addition, those with diabetes may have a higher risk of heart attack or stroke. Over time, high blood glucose levels can damage the blood vessels as well as the nerves that control your heart and blood vessels. Therefore, those with diabetes should be extra careful to keep track of their blood pressure numbers to make sure they are in a healthy zone. In addition to heart-related conditions, hypertension can affect brain health. 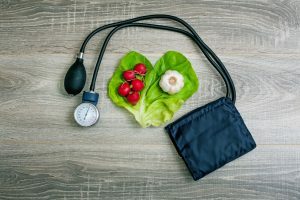 A recent study has found that older adults whose systolic blood pressure was above 150 mmHg had higher levels of mental decline than those below 120 mmHg. This study looked at 1700 adults from 70-79 years old over a 10-year period. These individuals in the study were being treated for hypertension, but initially had no mental decline. Those highest numbers in mental decline were seen in African-American older adults. Such declines were linked to health conditions such as kidney disease, stroke, and heart health. Besides medications, there are many ways you can work towards improving your heart health. Limit processed food intake such as packaged and canned foods. Crackers, chips, canned soups, sauces, gravies, deli meats, sausages, and hot dogs, as well as frozen meals are all high in sodium. Stick to fresh foods whenever possible. Also, frozen fruits and veggies without added sauces and sugars are good choices for a heart-healthy diet. Stay active often by engaging in moderate activity most days. Walking, biking, dancing, gardening, or swimming are some moderate activities to try. An activity is moderate if you can hold a conversation, but cannot sing while performing it. Stay active for at least 30 minutes a day, 5 days a week for great heart health benefits. Eat a fiber-rich diet full of fruits, vegetables, and whole grains like oats, quinoa, brown rice, wild rice, and whole grain breads. Consume at least 2 cups of vegetables a day at meal times. Also, add in some low-glycemic fruits such as apples, oranges, and berries for snacks. Stop smoking if you smoke, and don’t start if you don’t. Smoking constricts the blood vessels, which makes it hard for oxygen to flow to your body’s tissues and organs. Quitting smoking is not easy, so visit Smokefree.gov on resources to help you quit. Keep track of your heart health numbers. Your cholesterol, triglycerides, blood pressure, and blood glucose are all important numbers to check each year. Check more often if you have a family history of diabetes or heart disease. Also, check your numbers at least every 6 months if you have a diagnosis of prediabetes, diabetes, or heart disease. Add a heart healthy supplement to your regimen such as Presura by Vita Sciences. Presura contains heart-healthy compounds such as Hawthorn Berry, Niacin, and Garlic extract. These compounds have been found to support healthy blood pressure levels. Be sure to check with your doctor before starting any new supplement regimen. You may not realize over 36 million people in the world are blind. In addition, over 200 million more people have moderate to severe vision loss. A recent study has found that blindness rates may triple by the year 2050. Therefore, better vision treatment is necessary to prevent these predictions from coming true. A study from The Lancet Global Health journal looked at vision statistics from 1990 to 2015. Those older adults in sub-Sahara Africa and Southeast Asia have the highest rates of blindness. Although the percentage of the world’s population that is blind fell from .75 to .5-percent from 1990 to 2015, rates are expected to rise. Aging is the leading cause of blindness in the world. Since most of the world’s population is reaching older adulthood, rates of blindness are expected to increase. 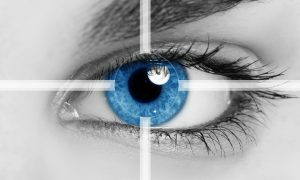 More funding in vision treatment may prevent many cases of blindness, researchers suggest. From 1990 to 2010, rates of blindness went down as investments went up in vision treatment. Outside of funding for vision care, there are many ways you can help protect your eye health. Besides seeing your eye doctor on a regular basis, you can do the following to lower your risk of going blind as you age. Stop smoking or don’t start since smoking constricts blood vessels and can prevent healthy blood flow in the body. This can increase risk of cataracts, glaucoma, and dry eye, among other eye conditions. Eat a healthy diet full of fruits and vegetables that can support eye health. Foods rich in beta-carotene help to improve vision. This is because beta-carotene is a precursor to vitamin A, which is vital to preventing cataracts and macular degeneration. Leafy greens like spinach and kale or brightly colored vegetables such as carrots contain beta-carotene. Eating healthy also helps to lower risk of diabetes, which in turn can lower risk of glaucoma. Take eye healthy supplements such as Ocutain by Vita Sciences. Ocutain contains eye healthy compounds such as bilberry, beta-carotene, as well as lutein. Lutein has shown to help increase density of the pigment in the macula, or center of the retina. This in turn protects the retina from macular degeneration.